In 1989, Honda brought a razor to a gunfight. Honda recently released a video commemorating the NSX. The video contains a several images of the NSX’s launch in Chicago of 1989, and a few video clips edited to resemble NSX ads back in the 1990s. 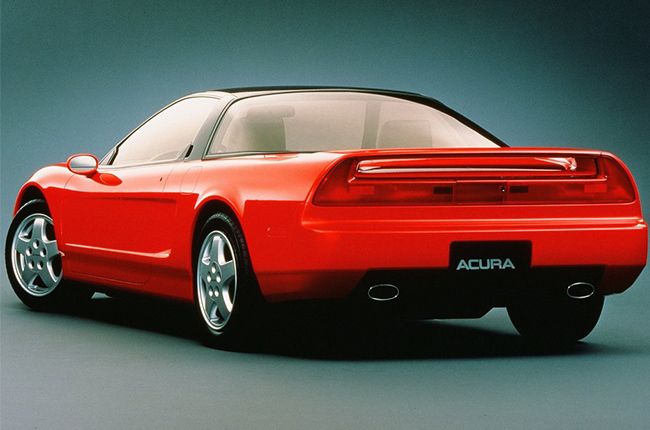 It’s 1989, Honda is about to launch its new supercar at the Chicago auto show, to put Acura on the map, Honda decides to give its fledgling brand a halo car and the Acura NSX is unveiled for the whole world to see. 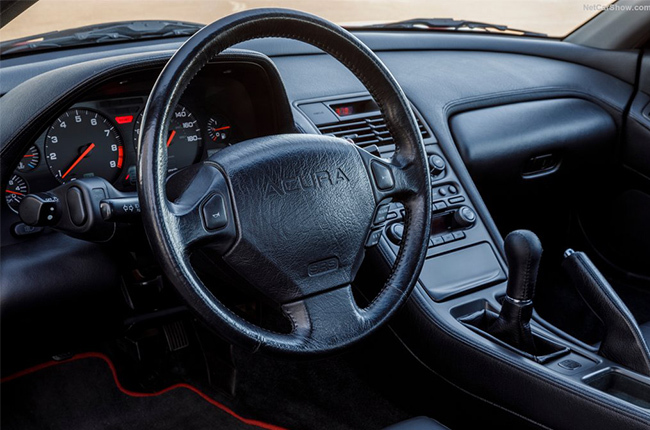 The NSX changed the industry’s perception. Back then, supercars were all about excess and compromise. A supercar in the 80s was capable of exuding so much passion it would burst into flames. Also, passion can’t guarantee your motor will start in the morning. 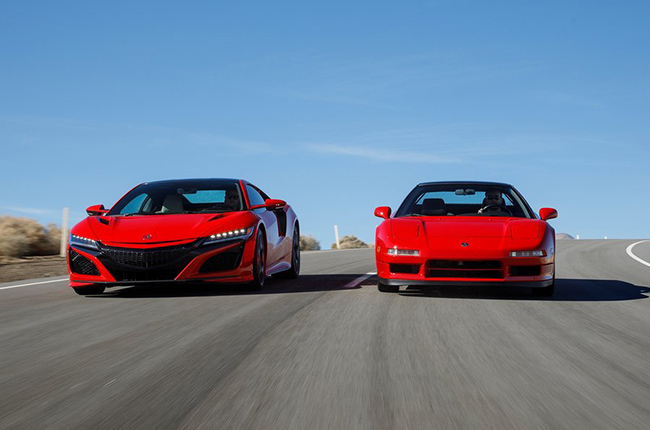 Enter the NSX, Honda’s ‘everyday supercar’. 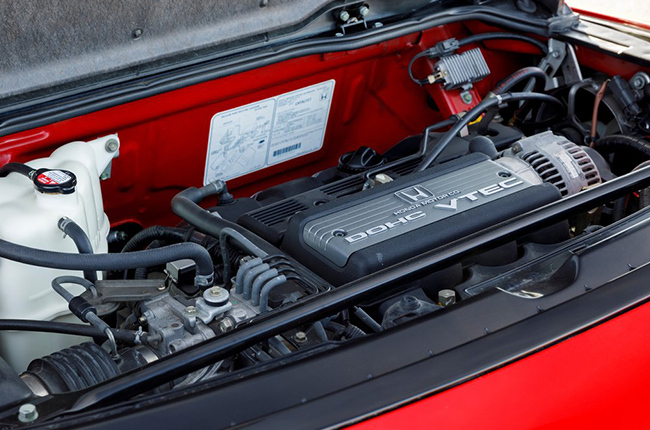 A 3.0 L DOHC V6 with VTEC produced 274 hp and started reliably. It could also be had with a 5-speed manual transmission, with a clutch that did not require the legs of an olympic sprinter to operate comfortably. The cabin of the NSX boasted excellent visibility, omitting the need for a second pair of eyes to park. Thanks to an aluminum monocoque chassis, the NSX was light on its feet. With a curb weight of 1370 kg, a mid-engine rear wheel drive layout, the NSX boasted exceptional cornering potential. While other supercars had the NSX in the straights, in the corners this little Japanese sports car would be able to keep up or even beat its heavier and clunkier competitors. 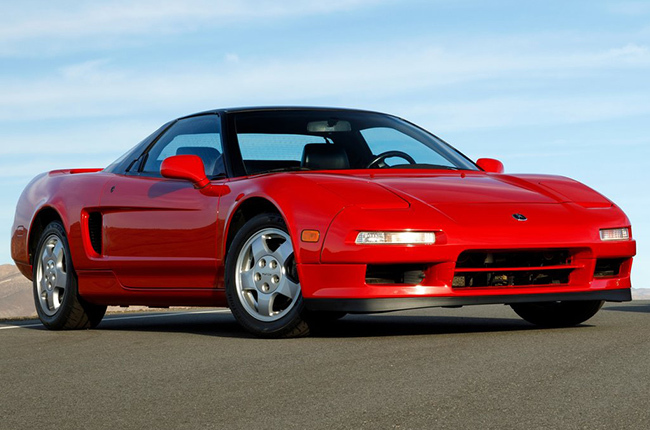 Fast forward to 2014, 25 years after the launch of the original NSX, Honda announces the debut its second generation supercar. A twin-turbo V6 AWD Hybrid mated to a 9 speed dual-clutch transmission can accelerate the 1,725 kg hunk of space frame aluminum, carbon fiber, and steel to 100 kph in 2.9 seconds. After 30 years, there is still no sign of the NSX coming to Philippine shores. Nissan was kind enough to give us the GT-R a few years back. Hopefully Honda does the same when the time comes.